8 Ways to Wrap a Gift for Dad — Gift Horse + Co. When you're wrapping a gift for Dad this Father's Day, look to these eight ideas from the Corinna Wraps archives for inspiration. 1. Personalize a bottle of home brew or store-bought spirits with jute twine. DIY tutorial. 2. Smock's line of printed kraft paper is the perfect selection of subtle pattern for Dad. 3. Gift wrapping that makes a sartorial statement. How to wrap using two papers. 4. Weathered tissue and leather wrapping for the rugged father. 5. DIY military-stencilled paper is sure to be a hit. Just change the message to Happy Father's Day. 6. A white-on-white monogram is sleek and sophisticated. 7. Decorate Dad's gift with wood veneer for an unforgettable package. DIY tutorial. 8. 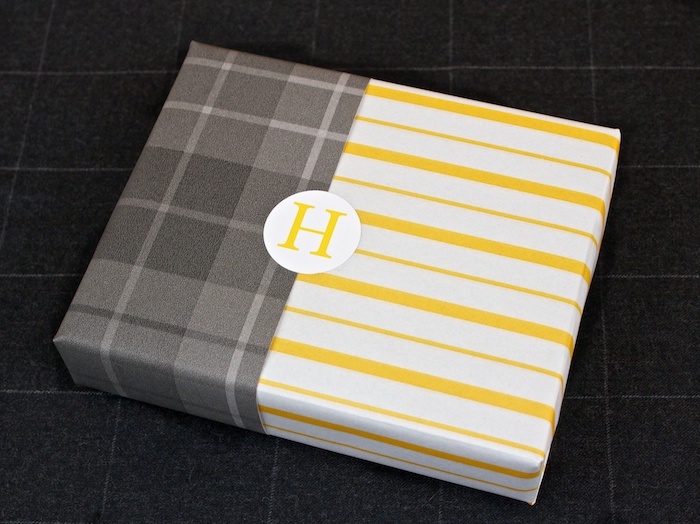 Create a minimal look with an image panel from a second sheet of wrapping paper.